Many classrooms across the country have classroom pets, ranging from frogs to hamsters to rabbits with the hope of teaching young students lessons about responsibility, empathy, and treating animals humanely. As long as the proper precautions are taken, those lessons just might be learned. Experts caution that there are certain pets that are never appropriate for classrooms. These animals include reptiles such as lizards and snakes, which could potentially cause salmonella, and other animals that are removed from the wild such as chinchillas and frogs. Animals like birds and rabbits aren’t easily handled by large groups of children and although they make good pets in the home, they are not well suited to life in a classroom. My top pick for a classroom pet is a guinea pig. Guinea pigs generally like to be handled, seldom bite, and whistle when they’re excited. 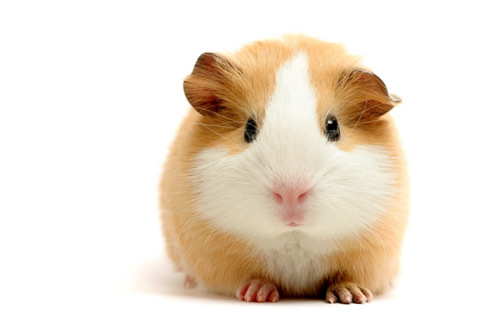 Guinea pigs can even recognize familiar voices and scents. When I was a humane educator at the Santa Barbara Humane Society, I would take students on tours of our shelter, and every time I walked into the room where the guinea pigs were housed they would start whistling for me when they heard my voice because they knew I’d give them treats. The children were always amused by this and some would later ask their parents if they could adopt one due to the good experience they had at the Humane Society. Although children tend to want direct physical contact with a pet, fish tend to be a great addition to a classroom. Fish are colorful and active and can provide a soothing effect for children. Fish have also proven to be helpful in keeping children focused. Rats and mice are social, easy to handle, and simple to care for. Rats and mice are most appropriate for older children. Young kids tend to have difficulty holding these small rodents and they may become loose in the classroom. Once careful research has been done and a classroom pet has been chosen, a teacher needs to be willing to be the responsible caregiver for the animal they have chosen. Classroom pet care should not be any different than caring for a pet in your home. The animal should not be left in the classroom when school is not in session; doing so may result in missed meals, a dirty cage, and lack of water. Fish can be left over weekends, provided a time-released fish food capsule is given. Ensuring proper pet care demonstrates to students that even classroom pets need full-time dedication. Teachers who provide proper care for classroom pets serve as humane role models for children. These days many parents are taking an active role in their children’s classroom. When I worked at the Michigan Humane Society in Detroit, we would receive calls from concerned parents stating that their child’s classroom pet was not being cared for properly. These concerns were mostly rectified by an educational visit to the teacher. If you feel that care is lacking in your child’s classroom, you can approach the teacher and offer help in a friendly, constructive way. If the teacher admittedly cannot meet an animal’s needs, you can offer to help find a home for the pet, or recommend the Humane Society. If the animal’s welfare is in danger and there is no action taken by the teacher, you can contact the school principal or local animal control.